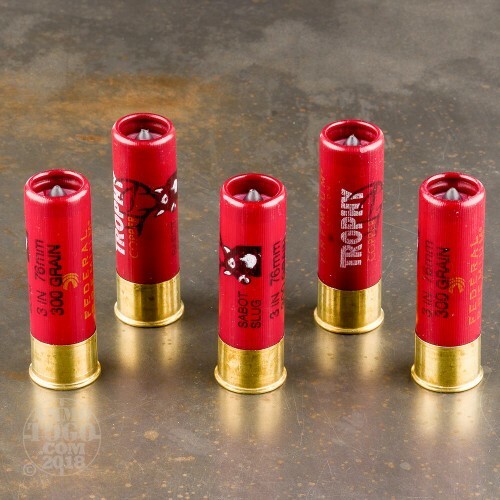 These three inch 12 gauge shells are the ideal entourage for hunting when using a dedicated slug gun equipped with a rifled barrel. 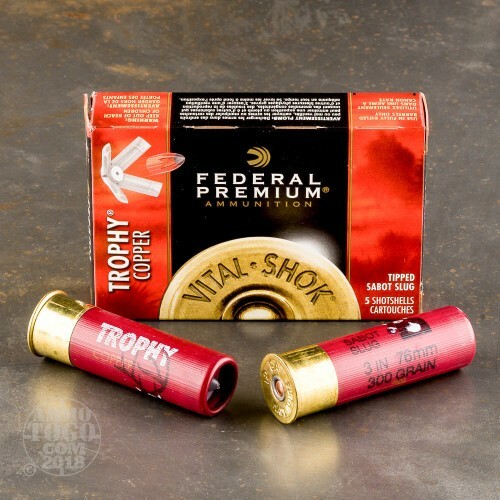 Federal builds these slugs entirely from copper with a center-deep hollow cavity which is bordered by external serrations and covered by a polymer tip. The conical polymer windshield gives the slug accuracy similar to that of a precise rifle bullet and initiates wide, deer-dropping expansion upon impact with the hunted game. 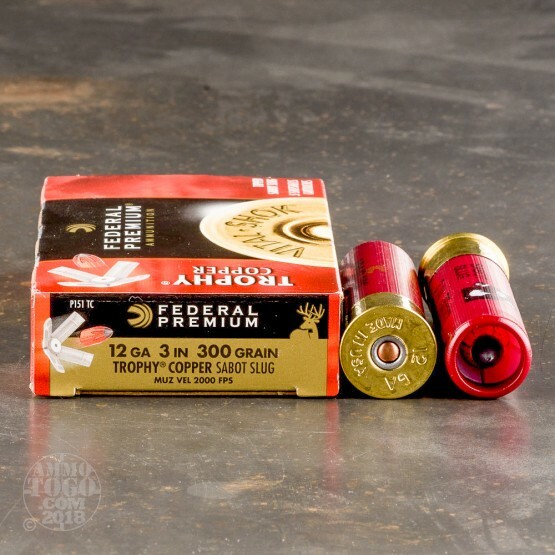 The hard-hitting 300 grain copper slug is housed within a petaled sabot which acts as a sleeve to grab the shotgun's rifling and impart spin to the slug for excellent stability and impressive range. The all-copper construction assures hunters that no lead will residue will be left behind in the meat that they feed to their families or in the environment that they are apt to preserve. 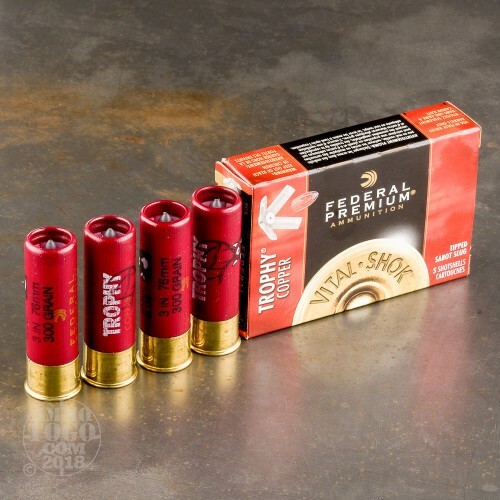 Federal ammunition has been trusted since 1922 to bring home the bacon, keep streets safer, and bring home Olympic gold medals.